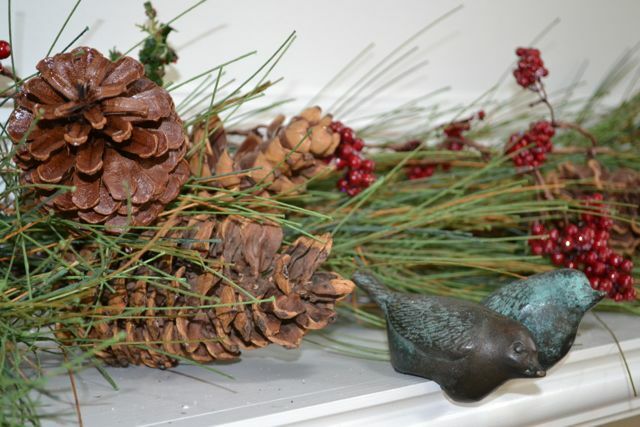 I'm being distracted by pinecones everywhere. They are a beautiful and elegantly designed thing of nature, and I never get tired of them. Of course it helps that they are plentiful and cheap, renewable, and yet last for years - so that we at rehabitat can reuse, reinvent, and repurpose till our hearts' content. My wreath this year is a vintage one, made by my mother over 40 years ago. She not only made wreaths, but pinecone trees, stylized topiaries of the 60's and kissing balls, among other concoctions, way before glue guns made it easy for DIY's. My fingers don't bleed like hers did as I decorate my windows and doors, but I am reminded of her joy of creative expression that she passed on to her daughters and grandaughters. 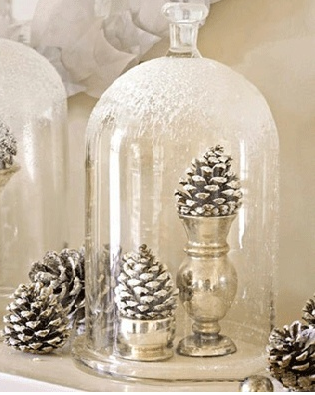 I hope these few other ideas inspire you, as they do me, to do justice to the elegant pinecone.